We recently joined more than 8,000 festival goers at Port Eliot Festival in Cornwall to spread the word about turning your work day into a workout. 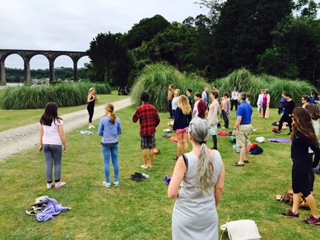 Set among the pampas grasses of the beautiful St Germans’ estate (and with the stunning Brunel viaduct in the background), we followed a wonderful yoga teacher (Claire Davey) in motivating people to walk properly, move around the office, say no to sitting down at meetings and yes to moving and stretching all-day long. Part of the anti-sedentary movement, our WPPC team is keen to teach people everywhere so please ring our reception to book a session on 020 7834 3700. 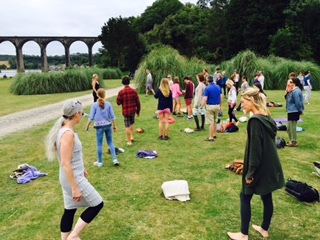 We were delighted with Yoga Soul’s blog on our Port Eliot Festival appearance. It is a great joy to us when people listen to experience and act upon it. 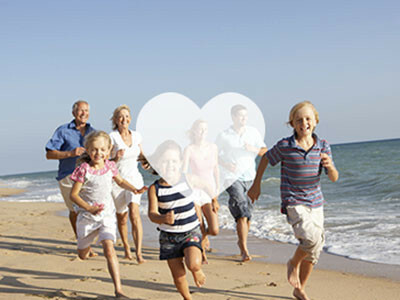 We all need to be far more responsible for our own health than we are, but this requires the professionals to impart information in lay people’s terms. We believe we all need to listen to well-trained medical professionals, such as chartered physiotherapists, who have an evidence-based knowledge. 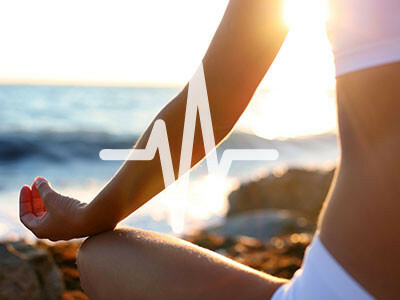 We live in an interesting age where we’re often bombarded by so-called health and wellbeing experts, whose attitude to their health regime is not necessarily right for everyone. Our aim? Bring it back to evidence-based methods and remove the confusion, so many thanks to Emily for her support and post.